After graduating from the University of Southern California School of Dentistry in 1994, Dr Danielewicz served on active duty with the US Navy as a Dental Officer. Dr Danielewicz left the Navy and entered private practice in 1997; however, in 2010, he returned to the Naval Reserves and then in 2014 made the switch to the Illinois Air National Guard as a Dental Officer. Dr Danielewicz continues to maintain four Dental Offices between Illinois and Wisconsin and is a part time Clinical faculty member at Midwestern University School of Dental Medicine. During his free time, Dr. Danielewicz enjoys traveling, water and snow skiing with his wife, Stacie, and three kids, Holden, Skylar and Zayne. 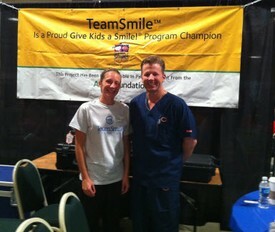 He also enjoys volunteering his time for yearly events like teamsmile, by treating kids' dental needs. Dr. R graduated from Midwestern University in Downers Grove where he obtained his DMD. While attending Midwestern University, Dr. R practiced under the tutelage of our very own Dr. Danielewicz! Soon after graduating, Dr. R took a lead role at private practice in Richmond, IN where he served the local community for two and a half years. Working in a comprehensive driven practice, Dr. R was able to expand his knowledge and skill set in all aspects of general dentistry involving cosmetics, Invisalign, root canals, oral surgery, removable dentures, and periodontal treatment. Dr. R takes pride in comprehensive quality dental care. His mission is to ensure that each patient has a wonderful dental experience while delivering care at the highest of standards. Dr. R has taken countless hours of continuing education and is on path to become a Fellow with the Academy of General Dentistry. He is affiliated with the American Dental Association, Chicago Dental Society, Academy of General Dentistry, and American Academy of Cosmetic Dentistry. In his spare time, Dr. R enjoys spending quality time with his wife, Nedina, traveling, golfing, and the culinary scene in Chicago. He is an avid football fan with an unpleasant loyalty to the Indianapolis Colts, something his wife Nedina and our office staff will continue to give him a hard time about. Please feel free to contact us and make an appointment to meet Dr. R. We are very excited to introduce him to our dental family! Daughter of Dr. Lawrence H. Cooper. 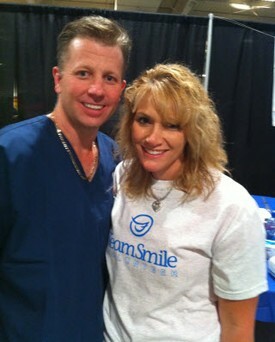 Stacie has been practicing as a registered dental hygienist for over 19 years.